Clayton Cowan hasn’t had it easy. 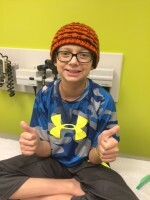 At three-years-old, he was diagnosed with chronic granulomatous disease (CGD), a disease that inhibits his immune system from fighting off harmful pathogens. 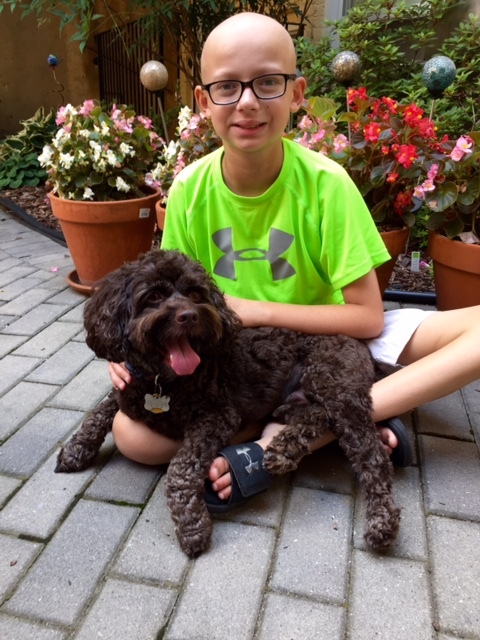 He was born with CGD, but it wasn’t until he suffered a severe bacterial lung infection that he was diagnosed. In 2005, he was hospitalized at Johns Hopkins Hospital, where “doctors pulled off a miracle,” says his mother Marty, and he recovered. Since then, he has been on a constant stream of medicine that helps his immune system stay strong. While this has been a temporary fix, the amazing power of his family is now stepping up to offer a permanent solution. 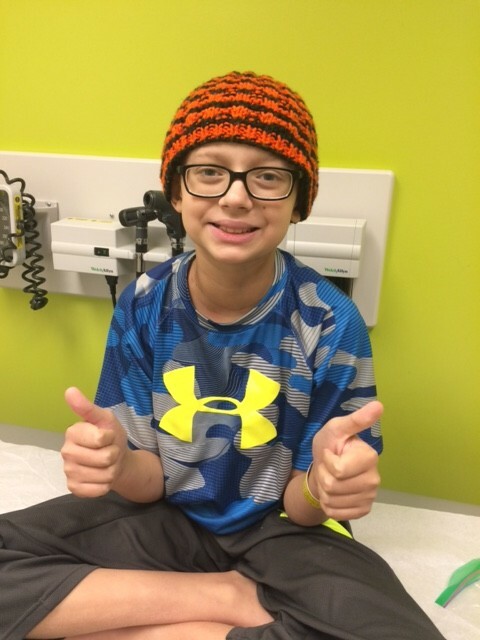 Graham completed the bone marrow donation in June and has been enjoying his summer ever since. “He’s been staying with family, boating, fishing, rafting, taking golf lessons, and even going to a football camp! Everyone is doting on him,” Marty notes, “He is truly a hero.” The rest of the Cowans are staying at the Believe In Tomorrow House at St. Casimir while Clayton undergoes the bone-marrow transplant procedure and treatment at Johns Hopkins Hospital. 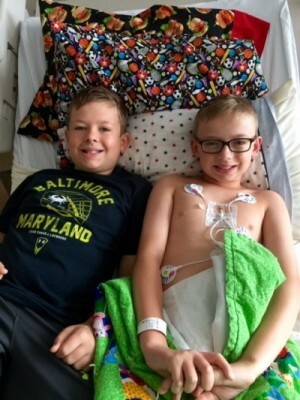 “When Clayton first started treatment, we were commuting from our home in Fulton, MD, to the hospital, and I was ‘sleeping’ there for 56 straight days. It is amazing to be so close now! The amenities and the garden at the house, combined with the great neighborhood in downtown Baltimore, really make this place special,” she comments. Marty also knows that other parents of critically ill children may not have an outlet. That’s why she has recently started instructing weekly yoga classes at Believe In Tomorrow’s first hospital housing facility in Baltimore, MD, the Children’s House at Johns Hopkins. 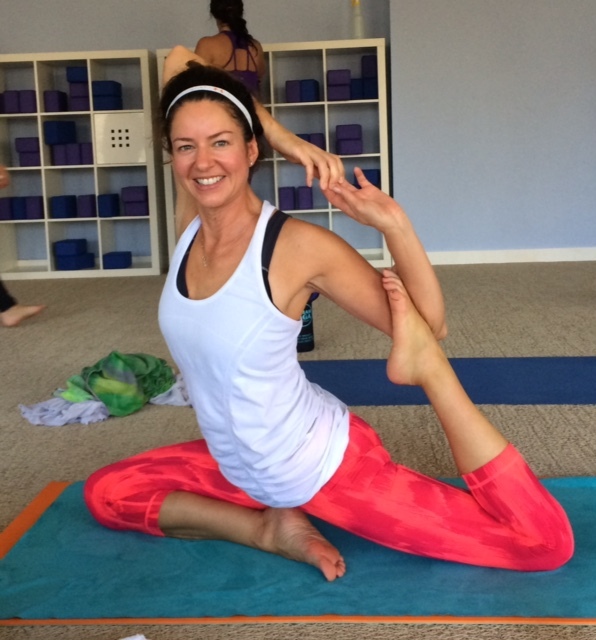 She coordinated a donation of yoga mats from lululemon athletica and holds classes in the lower level of the building after the Family Suppers have finished. “I recently became certified to instruct, and I thought this would be a great way to give back,” she comments. “I know what parents are going through; there’s a feeling of hopelessness. I’ve had emotional breakdowns because of Clayton’s illness, and I realize how important an outlet like yoga can be.” The classes aren’t just for parents, though, as Clayton was a participant in the first two classes Marty taught at the Children’s House at Johns Hopkins.